Susan Turcotte Gavriel received her undergraduate music degree from the University of Massachusetts Lowell and earned her Master of Music Education at Southern Illinois University where she served as teaching assistant to Professor John Kendall. She has been clinician and conductor for workshops, festivals, and summer institutes from Maine to California. 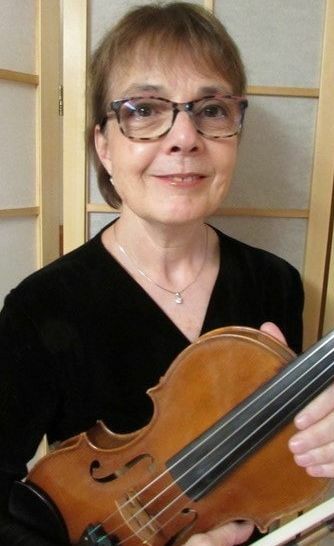 As founding member and Master Teacher of the UMass Lowell String Project, she supervised student teaching assistants and instructed the introductory string pedagogy course. Ms. Turcotte Gavriel enjoys playing, as well as teaching music, and performs regularly with the Orchestra of Indian Hill. She has established and directed public and private school string programs in numerous communities throughout Massachusetts. Ms. Turcotte Gavriel joins NMYO for the 2018-2019 season and she looks forward to working with its many fine musicians!